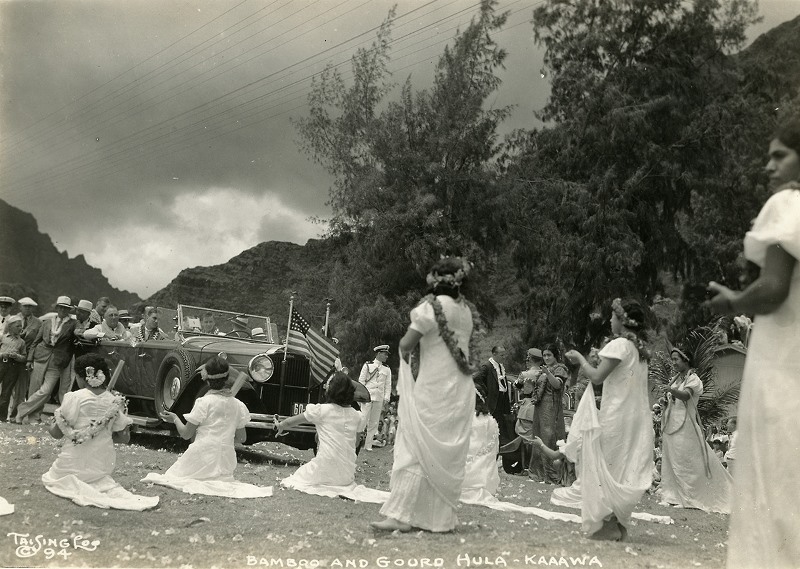 Photos from President Roosevelt’s trip to the Virgin Islands, Panama, Haiti, and Hawaii, July 1-August 2, 1934. More detail on the trip and additional photos can be found on the FDR Museum blog. 1. 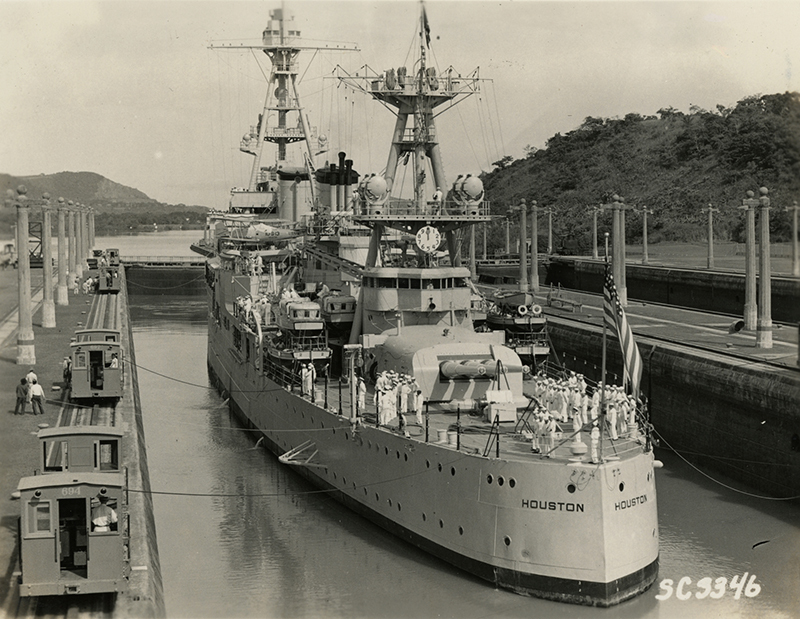 The U.S.S Houston passing through the Panama Canal with President Roosevelt on board. This was the first passage through the completed canal by a U.S. President while in office. July 11, 1934. 2. 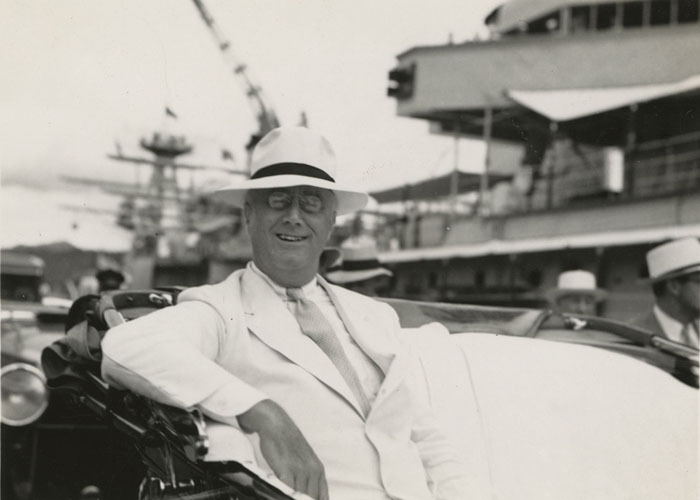 FDR in Panama aboard the U.S.S. Houston. 3. 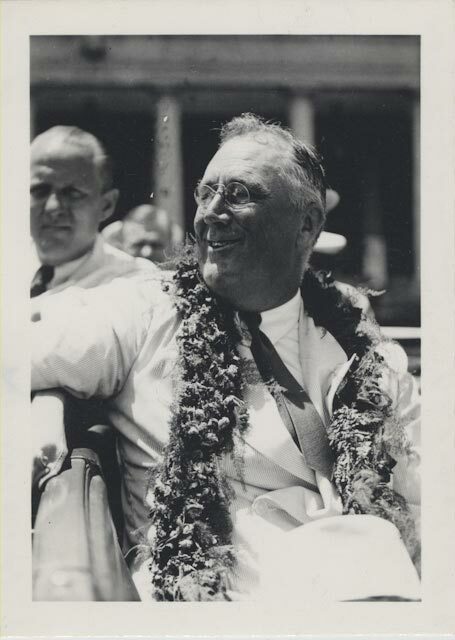 FDR wearing a lei in Hawaii. 4. 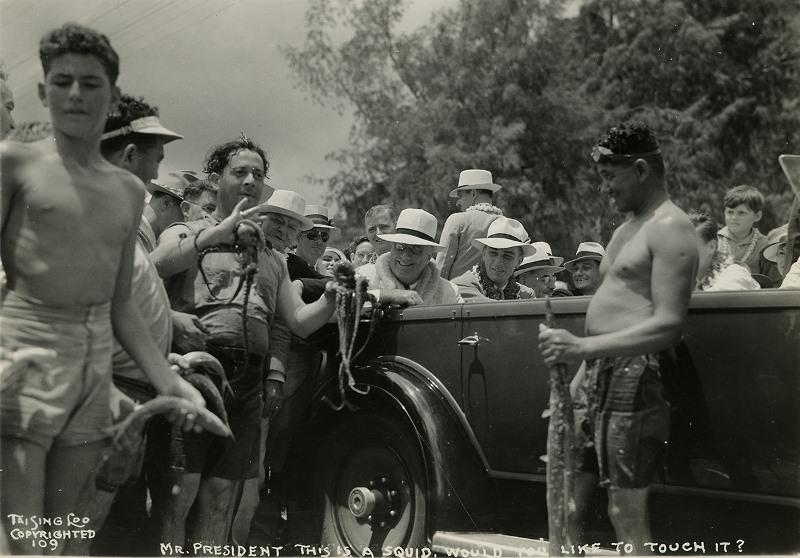 FDR in Hawaii, interacting with local fishermen. 5. The President watches a traditional Hawaiian dance. 6. 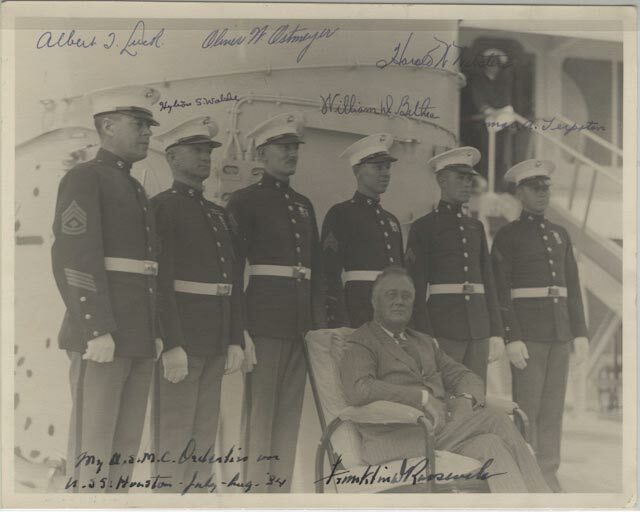 FDR with U.S. Marine Corps members, who signed the photo, aboard the U.S.S. Houston on his trip to Honolulu, Hawaii.